Beth counsels insurers and policyholders on complex commercial insurance coverage issues and litigates coverage disputes. 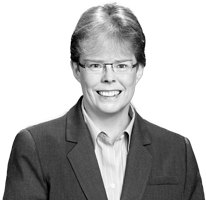 Beth joined A&K following a career at Wiley Rein LLP in Washington, D.C., where she litigated insurance matters across the country, and a sabbatical in Europe. Litigated insurance coverage disputes involving environmental contamination, asbestos-related bodily injury and property damage, toxic torts, products liability, construction defects and bad faith. Mediated and arbitrated complex commercial insurance and reinsurance disputes. Counseled insurers on coverage issues involving agriculture, flood damage, policyholder bankruptcies, and energy markets. Advised insurers on a wide variety of claims-handling and regulatory compliance issues. Represented a liability insurers’ trade organization as amicus curiae in complex insurance coverage litigation. Advised House of Ruth, a Washington, D.C. non-profit organization serving women, children and families in need. Represented pro bono clients in litigation seeking improved public transit service in the Washington, D.C. area for people with disabilities.